Te Papa e takoto nei – Tena koe. Greetings and a very warm welcome to all present tonight; here in the heart of Auckland, to help us celebrate the inauguration of the second Waitemata Local Board. I acknowledge and thank mana whenua for their opening welcome this evening. It is indeed a great honour and privilege to be offered this opportunity to serve these engaged and active communities of the inner city once again as Local Board chair. I thank my fellow board members for their support. We’ll be a great team once again. To the family, friends and supporters of Board members, thank you for your support and for your help to each of us to get to this point of standing here before you tonight. To His Worship the Mayor of Auckland, Len Brown, a genuine warm welcome. Congratulations on your well-deserved re-election. You are amongst friends in this community. To the Chief Executive of Auckland Council, Doug McKay. Doug has done an absolutely tremendous job leading the organisation through its critical period of foundation. It’s been an interesting, challenging, initially sometimes frustrating, but latterly very rewarding ride these last three years, and we thank you. To Mike Lee, Councillor for Waitemata & Gulf Ward. Congratulations Mike on your emphatic re-election. 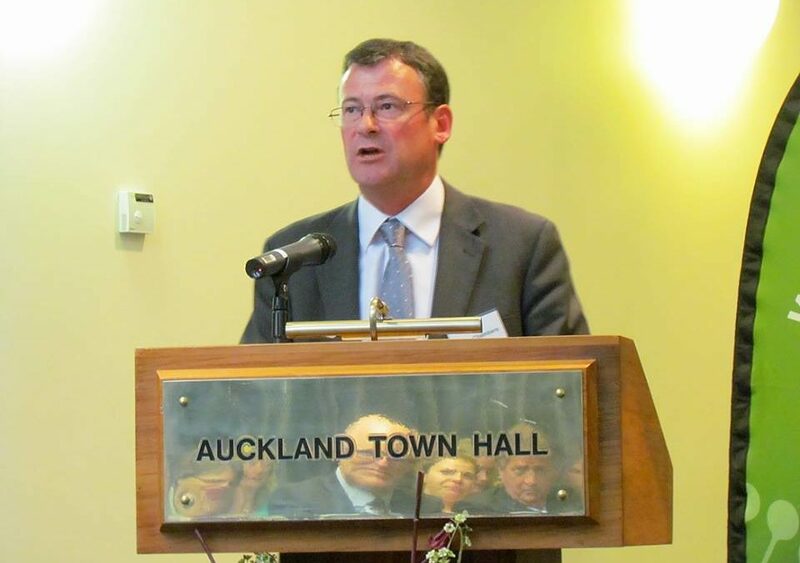 Mike is both a good friend personally and of Waitemata and the Gulf Islands and has been a fantastic advocate for Auckland’s transport challenges. 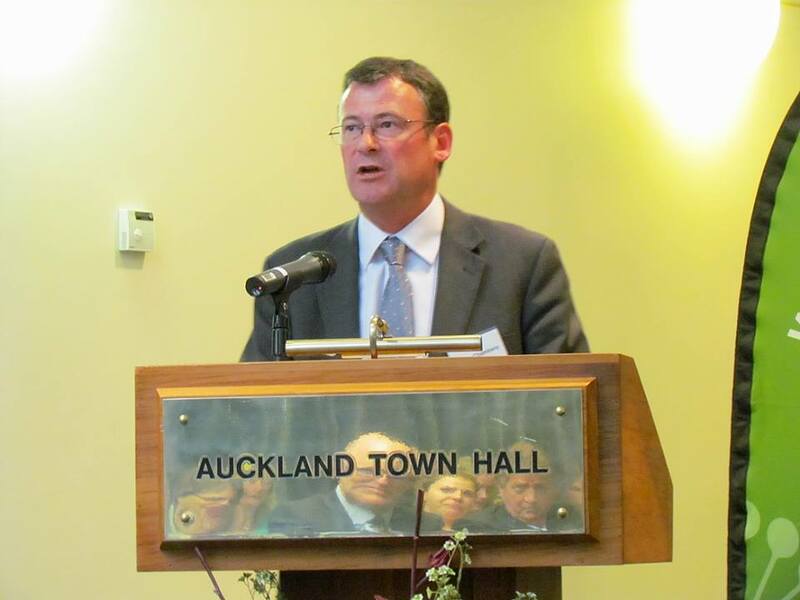 Mike is set to lead the Physical Infrastructure Committee of the new Council, which includes transport once again and the critical-for-this-community three waters issues for Auckland and we look forward to another three years of a close working relationship with you. To the many members of the Waitemata community present, whether you live, work or play in Waitemata, thank you for being here tonight to support us. We look forward to working for and with you over the next 3 years. 3 years ago I predicted that Waitemata, with its historic residential inner city communities, critical City Centre and business districts, Waterfront and Port, entertainment and arts centres, Town and Gown, would help shape the success or otherwise of local boards as meaningful players in Auckland local government. This has proven to be so. Ours is a diverse community. Aucklanders in greater numbers than any other area in greater Auckland come to live, work, play and learn in the Waitemata Local Board area. We’re the original Auckland City. We’re now Waitemata. Waitemata in size is the same and larger than the Auckland City of old to the start of WWI, 100 years ago next year. So the first 75 years of Auckland town, then Auckland City’s development and growth as a city is Waitemata’s history. We as a Board embrace guardianship of this heritage. It is part of our DNA. Both the ancestor of my wife, Glenda Fryer, an Albert-Eden Local Board member and my ancestor were 2 of the first 16 government employees of the new Auckland by 1842, building the first government house and establishing government in Auckland. It seems little has changed today. 3 years ago we pledged to be a strong local board, responsive to the community, and to help make the Super City work. Back then, no one quite knew what that all meant, so we just got on with it. The first Waitemata Local Board oversaw the completion of the Judges Bay upgrade, the refurbishment of the historic Tepid Baths, a new skate park at Victoria Park, the renewal of Point Resolution bridge, new Coxs Bay boardwalk, re-opened Leys Institute Gym and welcomed back Campbell Free Kindergarten as a community asset. The Board also saw the completion of two all-weather artificial turfs for Seddon Fields and made our playgrounds and sportsfields smokefree. 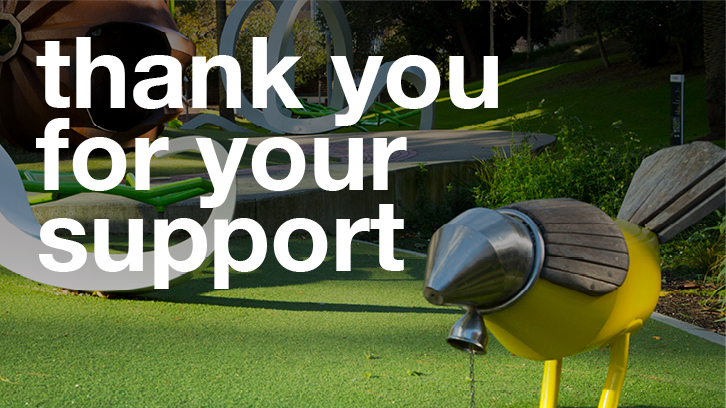 We reopened Newmarket Park following significant remedial works, commenced restoring Symonds Street Cemetery, increased evening opening hours of our suburban libraries, undertook significant ecological restoration of our urban forests and delivered a local Greenways Plan. We also renewed our commitment to becoming an accessible local board and area, and supported community, arts, sporting groups and local events through grants and partnerships. We worked hard advocating for our communities, for example regarding greater heritage and character protection, waste minimisation, fair trade and better walking and cycling infrastructure to improve transport choices. As a Board we’re a diverse group, but I have no doubt we will continue to work well together. We come from all parts of Waitemata. The City Vision team’s electoral mandate is to be acknowledged, but all members’ strengths drawn on. I particularly wish to acknowledge the close working relationship I had with Pippa Coom, as Deputy Chair last term. Her support and leadership add considerable strength to this Board. This term we draw on the strengths, and experience of five returned members, and the energy and fresh ideas of 2 new members, and will be the stronger for it. Welcome Deborah and Vernon. We continue to welcome and relish the opportunity to work with the Mayor of Auckland, Len Brown, as we advance towards Auckland as the world’s most livable city. The Mayor’s vision for Auckland cannot be realized without this being delivered within the Waitemata area, where many of Auckland’s priority projects are located or clustered. Be in no doubt, this vision and these projects are the shared vision and local or regional priorities of this Local Board. • The Pt Resolution Reserve and headland developed as part of a Taurarua/Pt Resolution Master Plan. • A village square or park in Ponsonby Road opened, as part of the Ponsonby Road Master Plan. • A Waitemata Local Area Plan, to build on the Unitary Plan, completed in full consultation with the community. We are committed to local and community assets and facilities remaining in community ownership and do not wish to see service cuts. In an intensified city, the need for the best use of our open spaces and parks, balancing competing public and private demands, is ever more important. One of the major areas of work-in-progress is the still evolving and varied relationship local boards have with the seven Council Controlled Organisations that provide the city with a range of essential services, including transport and water. There remains a fundamental challenge for local boards wishing to see the purpose statement in the Local Government Act of local democratic decision making become a reality under present practices. The Mayor has pledged to review the CCO’s this term, and to strengthen their relationship with local boards, and that has our Board’s full support. Getting genuine community engagement right is to be one of the top priorities for this Board this term of Council. The Super City is a large and potentially alienating organisation, as perhaps the recent election turnout indicates, but we aim to see your Local Board come into its own this term, to keep it local, working in strong partnership with our communities. Waitemata Local Board has been based in fantastic commercial offices on the top level of the Graham Street Service Centre these last three years. However, it has always been a challenge in that location for the offices to be accessible and meaningful as a community facility. The Mayor and his office will be joining Councilors moving from their current location on Level 1 of this Town Hall to Auckland Council’s new main central offices at 135 Albert Street later in 2014. I’m pleased to confirm that following these moves, Waitemata Local Board will relocate to the former Mayoral offices on Level 1 of the Town Hall, in the true heart of the local board area, and Auckland. We look forward to welcoming you, the public to Local board meetings and these new offices to speak to issues and concerns dear to your hearts and important to your local communities. Ehara taku toa, I te toa takitahi.